Acquiring life insurance in the present is an excellent way to prepare for your family’s future financial needs. 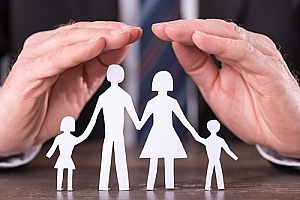 Life insurance is essentially a contract between you and the insurance company that states the policy will pay out a sum of money after a set period or upon the death of the insured person. There are two main types of life insurance available: term life insurance and whole life insurance. 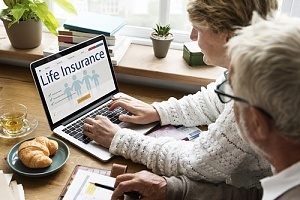 Learn more about these two life insurance options to help you determine which is best suited for you and your family. Also known as pure life insurance, term life insurance is a type of policy that guarantees payment of a death benefit during a set term. If the term life insurance policy expires before the death occurs, the policy holder can choose to renew the policy for an additional term, allow the policy to terminate, or convert their coverage to permanent status. Term insurance is available in two main varieties: level term and decreasing term. Level term insurance is purchased by the majority of people. A level term policy pays the same benefit amount if the death should occur at any time during the term. When you purchase a term life insurance policy, the insurance company will promise to pay your beneficiaries a set sum of money upon your death if you die within the policy’s term. As the policy holder, you are responsible for paying a monthly premium for the duration of the term. At the start of your policy you will have to choose a death benefit amount. This benefit can be used by the beneficiaries for any expenses, such as funeral expenses, mortgage, debts, or to replace the lost income of the policy holder. When choosing your beneficiaries on your policy contract, remember that there is no legal requirement for the money to be spent on the items that you planned for. If you have a specific requirement for how the money should be spent, you must specify this in your will. You may choose to have your beneficiaries split the funds between certain family members too. There are several benefits that come with choosing term life insurance. The death benefit is typically tax-free and exempt from probate. A term life insurance policy can also be converted to permanent at no charge. While most people can benefit from term life insurance, it is often an attractive option for young families who have children to care for. Term life insurance is usually inexpensive making it suitable for men and women just starting out. The price of your policy will depend on your age and various risk factors. For example, if you are a smoker, the cost of your annual premium may double. You may also have to undergo certain health tests when applying for term life coverage, such as a medical exam and personal and family health history. Whole life insurance is a popular alternative to term life insurance as the policy is permanent, ensuring guaranteed protection for your family that lasts a lifetime. Unlike term, whole life insurance ensures guaranteed cash value that you can use however you would like. By acquiring whole life insurance, you are also deemed eligible to earn dividends which can increase the cash value and death benefit. As long as the premiums are made, whole life insurance does not have an expiration date and can be used as long as you live. Best of all, whole life insurance policies come with a locked-in rate that will not increase with age or with changes in your health status. With whole life insurance, you have access to cash value which serves as an emergency fund. If you need to use the funds, you can take out a loan against the policy. Over time, the cash value of your policy begins to build. The policy holder can also choose to remit payments more than the scheduled premium to build the cash value even more. Policy holders also have a guaranteed rate of return which means the policy is guaranteed to earn a minimum amount of interest. The death benefit that accompanies a whole life insurance policy is generally a set amount stated on the policy contract. If you stop making premium payments, know that you can still receive the cash value of the policy or use the cash value to offer a paid up insurance benefit. While a more complex product than term life insurance, whole life insurance can be highly beneficial to your beneficiaries as they will receive the death benefit no matter when the policy holder dies. However, whole life insurance does come with higher premiums than term and could result in fees if the coverage lapses early. Whole life insurance is best suited for people who prefer to have a predictable premium payment as whole life comes with fixed premiums and guaranteed rates of return. It is also a great option for people who want to use it as an investment opportunity. As some of the money paid into a whole life policy will accumulate cash value, many policyholders like the freedom of being able to borrow against their policy. A whole life insurance policy also makes sense for people with very high incomes who have already maxed out their 401(k) and IRA options. Depending on your budget and unique circumstances, either term life insurance or whole life insurance may be a good investment option for you and your family. Understand that both types have their benefits and drawbacks. For example, term life insurance tends to be more simple and affordable, while whole life insurance is more expensive but does not expire. No matter which option you choose, be sure to shop around for the best rate. For more information about how life insurance works and how it can benefit your family, or to acquire a life insurance policy, contact a life insurance broker at BBG Broker.